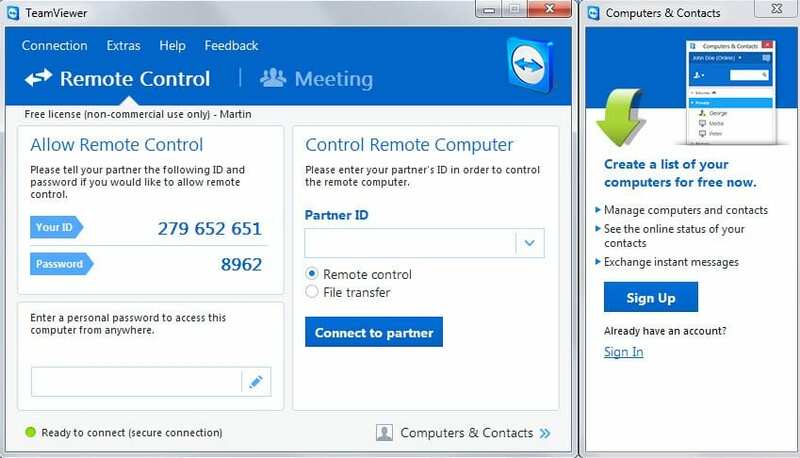 TeamViewer issued a patch for users on Tuesday to fix a vulnerability that allows users sharing a desktop session to gain control of another PC without the latter’s permission. This vulnerability affected versions of TeamViewer running on Windows, macOS and Linux machines. For those unaware, TeamViewer is a popular remote-support software for desktop sharing, online meetings, web conferencing and file transfer between computers over the internet from anywhere in the world. To establish a connection between a local computer and a remote computer, the local computer requires the remote computer’s ID and password to gain control over the remote computer, whereas the remote computer requires the local computer’s ID and password to gain control over the local computer. The vulnerability was first publicized by a Reddit user “xpl0yt” on Monday who linked it to a Proof-of-Concept (PoC) published on GitHub by a user named “gellin”. TeamViewer too went on to acknowledge existence of the vulnerability after it was publicly disclosed. The code can be used on both the client and server side. If Server is an attacker – Enables extra menu item options on the right side pop-up menu. Most useful so far to enable the “switch sides” feature which is normally only active after you have already authenticated control with the client, and initiated a change of control/sides. If Client is an attacker – it will allow the client side to take control of the mouse and keyboard of the server side, ignoring any control settings or permissions on the server side. This vulnerability could be exploited to gain control of the presenter’s session or the viewer’s session without permission. To do so, the bug requires both users to first be authenticated and then the attacker needs to inject the PoC code into their own process with a tool such as a DLL injector or some type of code mapper. Those users who have configured TeamViewer to accept automatic updates will get the patch delivered automatically; however, it could take up to three to seven days for the patches before the update is installed. For those who do not have automatic updates set will be notified when an update is available. Nelson, security researcher with Arbor Networks and the ASERT Research team who reviewed the PoC advises users patch for the bug fast. “Typically, these type bugs are leveraged quickly and broadly until they are patched,” he said. “This bug will be of particular interest to attackers carrying out malicious tech support scams. Attacker will no longer need to trick the victim into giving control of the system or running malicious software, instead they will be able to use this bug to gain access themselves,” he said.